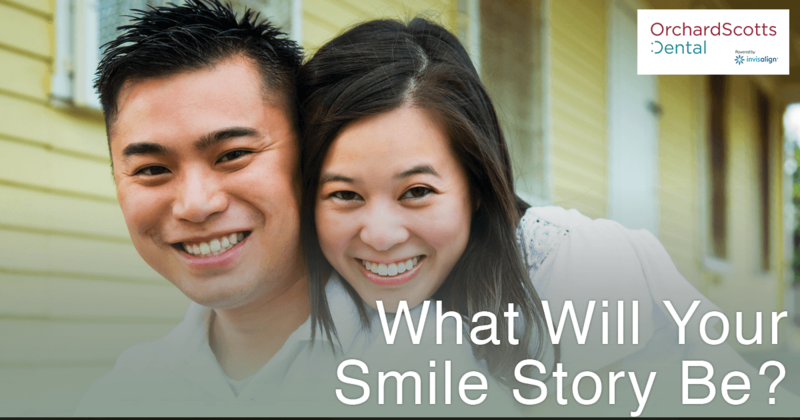 What Will Your Smile Story Be? The straightening of some crooked teeth may not seem like a life-changing event; but for many people, it is. A young girl who was afraid to show her teeth when smiling or talking can now come out of her shell and show the world her beautiful spirit. A man who lacked confidence now feels that he can bring his best self to potential employers and improve his professional prospects. A professional woman was able to break out of her shyness and genuinely connect with her clients. A teen guy who was too nervous to ask girls out now has the smile and the confidence to do it. Check out these stories of people whose lives were changed thanks to Invisalign. As an adult, Jason felt a certain unease and lack of confidence in his life. After he decided to get Invisalign clear aligners, he quickly discovered that his view of himself was changing — and his confidence level was rising. Once he started the ball rolling with self-improvement, he had to continue. He got his teeth whitened, changed his eating habits, and began living a cleaner, healthier life. At 75, Mona had struggled for many decades to be content with her smile. She had a large gap in teeth and other alignment issues, but she never took the time or money to have the problem corrected. Now, after using Invisalign, Mona is happy and confident in a way that she hasn’t been before. She advises everyone, even older adults like her, to give themselves the gift of Invisalign and a gorgeous smile. Marilyn found out about an opportunity to be part of a TV segment. As a young United States veteran, she was eligible to receive a free wedding dress if she agree to be in the show. With her original smile, Marilyn never would have considered being on TV; but thanks to her treatment with Invisalign, she had a beautiful smile to show everyone, and she agreed to participate in the segment. Her experience with Invisalign opened up doors for her and gave her the confidence to try something new. These are just a few of the stories of people who have become happier, gained more opportunities, and developed more confidence thanks to Invisalign. Men, women, teens, mums, brides and veterans— their stories reveal that anyone can take action to improve themselves. It’s about more than showing off a set of dazzling teeth. It’s about having the courage to make a change, and letting that positive change serve as the catalyst for other changes in your life. Are you ready to begin your own life-changing story with Invisalign? Orchard Scotts Dental is an aesthetic dental clinic in Singapore with one of the best professional dentists you can find here in Singapore who are experts at using Invisalign to create beautiful smiles. The best part is that the Invisalign system uses clear aligners, which are practically invisible when you’re wearing them, so your teeth will be straightened without a bunch of wires and braces. After your smile makeover at Orchard Scotts Dental, you’ll feel more secure in who you are and who you can be.